With the town of Saint-Malo, it is said that the sea has permeated the cultural life of the people here, making everything “salty”. Even wine is “salty”, because it is soaked in the sea instead of stored in the cellar. If you are in Saint-Malo town, Ille-et-Vilaine province, France’s Bretagne region, even if you have not seen the sea yet, you will still feel the encirclement of the ocean. “When I was in St-Malo, even if I didn’t see the sea, I could still feel” her. 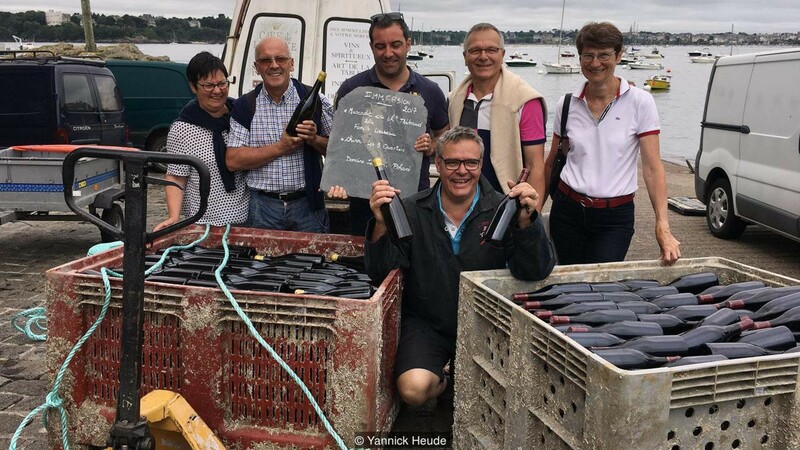 “I always knew she is right here” – Yannick Heude, who created a new tradition, Wine brewing at the bottom of the sea confides. It was also because of the apparent presence of the sea that every food and drink at St-Malo seemed to smell like the ocean. It was as if the sea had penetrated into the soil, into the water, into the hearts of the chefs. And then in a boat trip on the sea, Heude suddenly wanted to realize the idea of ​​brewing alcohol in the heart of salt water. Any doubt that little experiment became a new tradition of St-Malo. Not only that, it also developed into a national phenomenon. 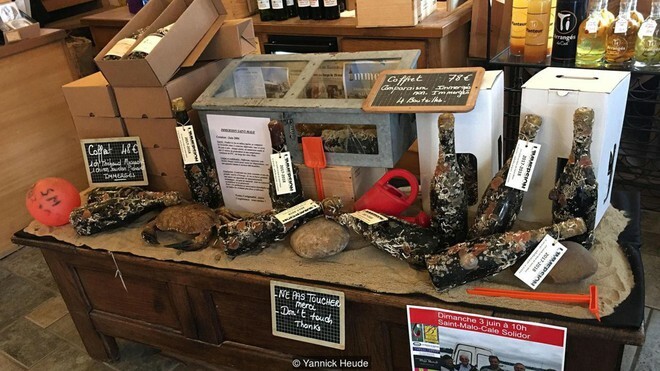 Today, visitors to St-Malo, if on the right occasion (because brewing under the sea needs 12 months but after only 6 months of burning goods), they can enjoy wine soaked under the sea. After a little experiment 15 years ago, Heude regularly brought wine to be brewed under the sea every year. Of course, in addition to temporary excitement, he also relied on scientific knowledge. Off the coast of Brittany, where Heude drenched wine under a water depth of 15m, ocean temperatures were always at 9-10 degrees Celsius, equivalent to the temperature in an underground cellar. Seawater will also help prevent UV rays from entering. In addition, he also took advantage of the strong tide phenomenon. Because it is up and down every day, the reverse currents will cause the bottles to slowly tilt to the right, upright, slowly tilting to the left. This process is similar to the technique of making champagne. Alcohol sludge will settle on both sides of the bottle and bottom, making the taste a little richer every day. Each year, Heude also changes the type of wine to soak in the sea. Because the taste of each wine became different after being picked up, he enjoyed it. 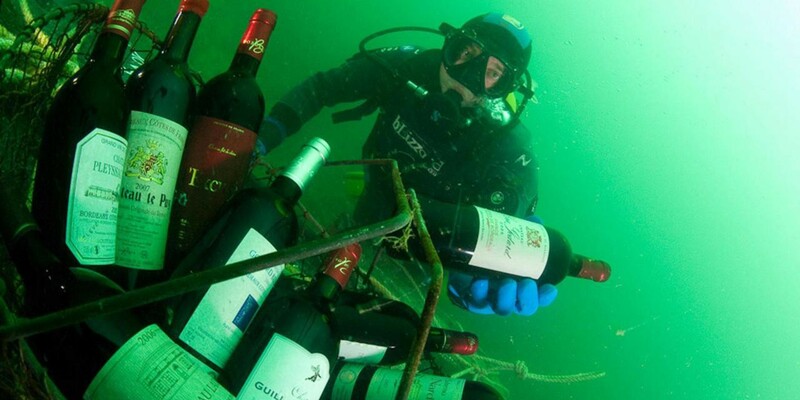 “In the wine that is brewed at the bottom of the sea seems to have everything,” – Heude said. “There’s alcohol, there’s shrimp, there’s scallops, there’s fish, there’s spring vegetables, there’s new potatoes to dig. Everything fits in. Really has it all”.